In the early years of my journey I encountered a picture that was truly worth a thousand words, perhaps even more. In the picture, there was a great storm brewing over the sea with dark clouds swelling in the sky. It was the kind of storm that triggered the instinct to seek immediate shelter. Dwarfed in the picture was a small ship tied to a dock. 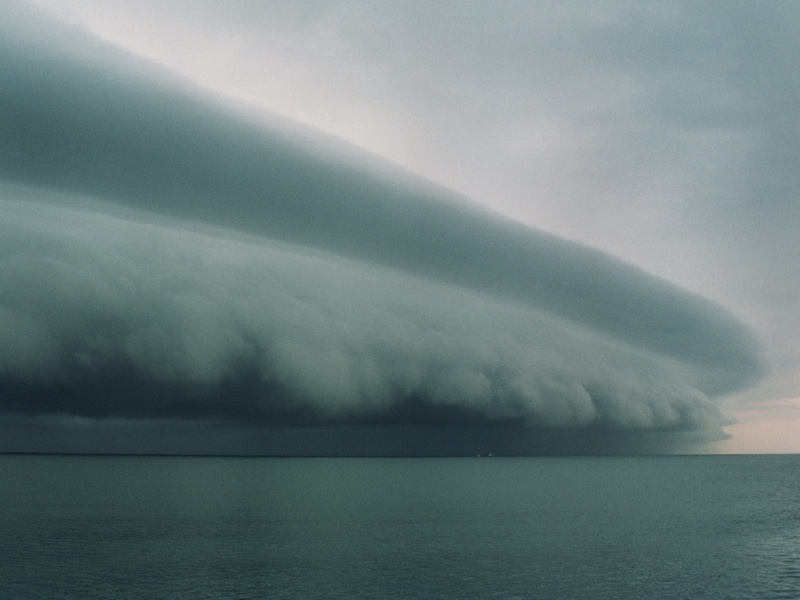 The caption in the photo read, “A ship is safe in the harbor but that isn’t what it was made for.” As I peered into the picture, I began to understand the call of the storm. The call of the storm is an invitation to learn. In the midst of the darkness, the wind, and the waves, there are things to be learned about the captain, the ship, and the storm. A wise captain will avoid a storm if he can but he also needs to know what to do if a storm cannot be circumnavigated. To know of a certainty that he can navigate a storm, the captain will have to go through one. Just like the challenging circumstances that arise in our everyday life, we avoid them when we can but we also have to be ready at times to set our heading straight into the wind. Storms or challenges are often ordained of God to uncover the treasures of untapped potential buried beneath barriers of complacency. Many people will work out until they sweat but few people will actually push themselves to failure or true exhaustion. That’s why it is better to work out with someone who will push you when you are seeking greater performance. There are glorious qualities we have within us lying dormant and we are reluctant to apply the amount of pressure necessary to break through and awaken them. That is why God orchestrates circumstances beyond our control that puts us right where we have been reluctant to go. It’s about unveiling and knowing your true potential. God created us in His image and when we fulfill our true potential we bring Him glory. The best way to discover your true potential is to put yourself in God’s personal training program. In fact, if you asked Christ to save you that is exactly what you did. One of the first “witness wear” clothing items I purchased after becoming born again was a t-shirt that mimicked the old “Gold’s Gym” tees, however it read, “The Lord’s Gym” on the front and it had a pumped picture of Christ carrying a cross on His back, then on the back it read “No pain, No Gain”. I still have it though it is all tattered and worn. We should live life to discover our true potential. This means doing things that reveal our weaknesses as well as our strengths. So many people try to stay to their strengths all the time since it is the path of least resistance. This way of living marginalize our growth because we need resistance to make us stronger. Though avoiding resistance may keep you comfortable, it also keeps your true potential unexplored which is like leaving treasure unearthed. We have to mine ourselves for the treasure hidden within. It will take a lot of digging and searching but it is the most rewarding work you will do, second only to helping others to do the same. Bringing new life into the world is always painful. Ask a mother. It reminds me of what Christ says, “We enter the kingdom through much tribulation.” The Kingdom is the place where our hearts are free and we are fulfilled. We have to learn to live courageously! It is the only way to take the promise land of our true potential. It is important to realize that our courage does not come from trusting in ourselves but it comes from confidence in our Creator. Just like that boat in the harbor facing the storm, we have to have confidence that we were designed for the challenges of this life. We have to know that God is behind the scenes tailoring the storms, just like a trainer designing a workout specifically for us, to help us discover our true potential. The next time you find yourself in the throes of a storm, instead of insisting that God deliver you out of the storm know that God is using the storm to deliver you. This entry was posted in Inspirational, Love and tagged Addiction, Christianity, Depression, Faith, Fear, God, Hope, Inspirational, Jesus Christ, Life, Love, Motivational. Bookmark the permalink. So true my Brother…Thanks for sharing this & for inspiring us to demonstrate courage as believers! I remember that shirt 🙂 this is so encouraging.